Newburyport: Children at the River Valley Charter School have raised salmon from eggs to about an inch in length and are taking them to a hatchery in New Hampshire. 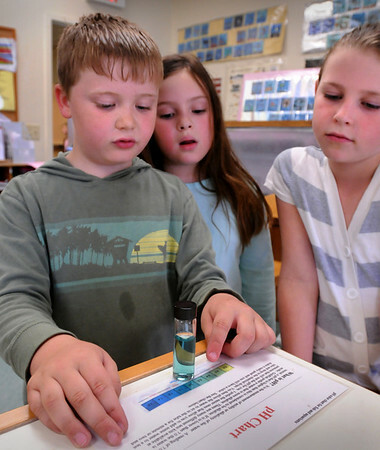 Checking the ph level of the water are, from left, Jamie McKinney, Beatrix Jordan, both 7, and Macie McGee, 8. Bryan Eaton/Staff Photo Newburyport News Monday May 18, 2009.